A light, wearable necklace. The soft sculptural lines contradict with the straight bar creating an overall look of elegance and balance. This elegant and modern necklace is both subtle and bold. The pendant piece is created by hand and attached to the hollow circle with sturdy rings. With a polished finish to the bar and circle this necklace is eyecatching and unique. A must for silver lovers wanting something a bit different with a timeless appeal and made to last. One size and colour only. 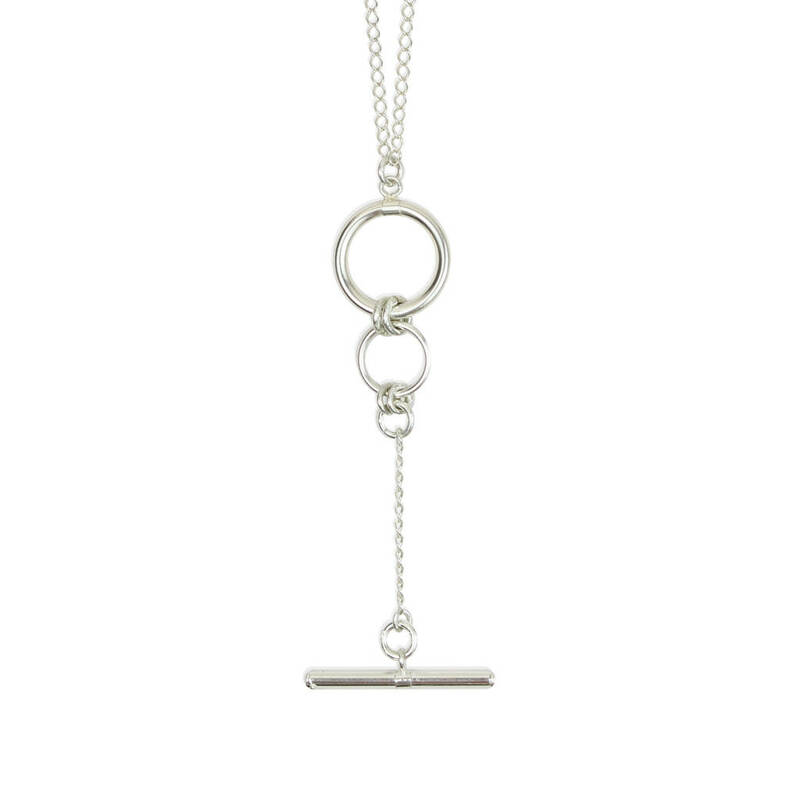 The 2.5 x 1.7mm curb chain measures 45cm minus the pendant, The small circles are connected to a highly polished 15mm circle charm. The dangling chain is 5.5cm and with a 24mm bar. The 5.5cm extension chain is so you can adjust the length and it is finished with a 6mm ring clasp and an AF branded tag.